Head East went through several lineups and musical approaches before consolidating in St. Louis in the early '70s as a hard rock quintet consisting of John Schlitt (vocals), Mike Somerville (guitar), Roger Boyd (keyboards), Dan Birney (bass), and Steve Huston (drums), all alumni of the University of Illinois. They recorded their debut album, Flat as a Pancake, independently and released it on their own Pyramid Records label in early 1975. When the track ''Never Been Any Reason'' began to attract radio attention, A&M Records signed the band and re-released Flat as a Pancake in June 1975. The singles ''Never Been Any Reason'' and ''Love Me Tonight'' became minor pop chart entries, and the album spent six months on the charts, eventually going gold. Get Yourself Up (April 1976) and Gettin' Lucky (March, 1977) were less successful, but Head East (February, 1978), spurred by the minor singles chart entry ''Since You Been Gone,'' reached the upper half of the Top 100. 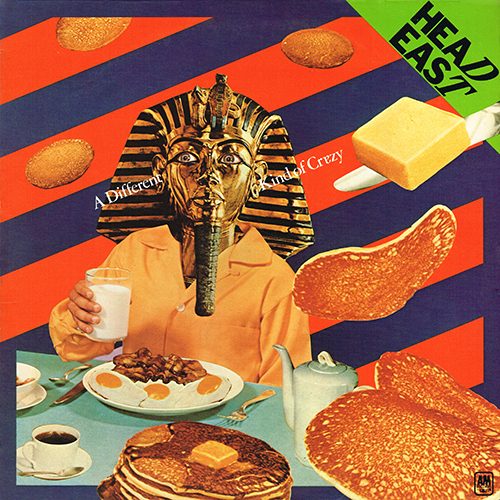 The double-LP Head East Live! (January, 1979) also peaked in the Top 100, as did A Different Kind of Crazy (October, 1979), and the band performed on the soundtrack to the comic anthology film J-Men Forever! (1979), but at the end of the year, Birney and Somerville left the group while Schlitt joined the Christian rock group Petra. Boyd and Huston recruited Mark Boatman, Tony Gross, and Dan Odum to record U.S. 1 (October 1980), Head East's last album to reach the charts and last newly recorded release on A&M; it was a minor chart entry. After its commercial heyday, Boyd led the band in continued touring and recording for small labels. The band was inducted into the Iowa Rock & Roll Music Association's Hall of Fame in 2011.